GeoMEast 2019 International Congress and Exhibition will be held in Cairo, Egypt during the period of November 10 – 14, 2019 at the Historical Cairo Marriott Hotel (see Venue; Since 1900 located directly in front of the Great Nile) hosted by the Egyptian Government, and supported by TRB, ASCE, CSCE, ISSMGE, IAEG, DFI, ARMA, GMA of IFAI, ASTM, IABSE, ACI, ISHMII, ICC, Springer and other leading international professional organizations. GeoMEast 2019 will provide a showcase for recent developments and advancements in design, construction, and safety inspections of transportation infrastructures and offer a forum to discuss and debate future directions for the 21st century. 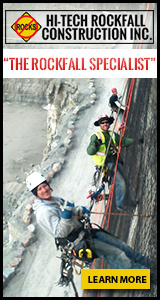 Conference topics cover a broad array of contemporary issues for professionals involved in Geosynthetics, Geotechnical, Geo-environmental, Geomechanics, Geosciences, Geophysics, Tunnel, Water Structures, Bridge, Pavement, Railway and emerging techniques for safety inspections. You will have the opportunity to meet colleagues from all over the world for technical, scientific, and commercial discussions. Cairo Marriott Hotel is a Historical Palace in Cairo, located in Zamalek, in front of the Great Nile! We will announce special rates for this historical hotel's rooms shortly. The Early-Birds registration will open in two weeks. For those who will register for the full conference [Full Registration + Accommodation for 6 nights or 5 nights], we will offer them the [Full Package] category that contains a special discount. The attendance at the EXHIBITION will be free of any charge. All accepted papers will be published in the conference proceedings by Springer in the "Sustainable Civil Infrastructures" Book Series. The proceedings will be published in group of volumes edited by international experts. The Proceedings will be submitted seeking for indexation in EI, Scopus and Thomson Reuters. You have to submit your abstracts online by March 15th, 2019 via: https://www.editorialmanager.com/suci. For more information, please visit Publications. The conference is aiming to publish after the conference a set of high-quality topical collections (special issues) on cross-cutting themes of Sustainable Civil Infrastructures in some prestigious journals. Authors of the selected papers will be invited to submit an extended version of their conference papers. There is still chance to welcoming new partners. If you are interested to be an exhibitor, kindly send us an email NOW at info@geomeast2019.org. The Exhibition will be OPEN for all FREE of any charge! The technical program shall contain Lectures, Courses and Workshops. If you are interested in delivering lectures, course or workshop, you still have a chance to send us a proposal at info@geomeast.org. You can follow this link to know how to prepare your Visa, and this link to know more about Cairo. We look forward to meet you at the conference in November. Please don't hesitate to contact us with any questions atinfo@geomeast2019.org.